Like the best comedians, the best cartoonists address philosophy's Big Questions. Cathcart and Klein reckon they're individuals with philosophy doctorates who couldn't find employment or, if they could, found serving lattes at Starbucks less fulfilling than they'd hoped. 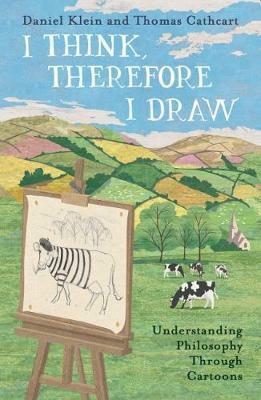 Covering topics as diverse as religion, gender, knowledge, morality and the meaning of life (or the lack thereof), I Think, Therefore I Draw is a joyous introduction to the major debates in philosophy through history and the present.